Peel a ripe plantain and rub it with some ghee (or butter) until fully covered. Add a pinch of salt and rub more. Cook for 1 minute on both sides, or until slightly charred, then remove. **Caution the skillet is very hot and will cause smoke so make sure your oven fan is on! Once removed, add our Glazed Donut Muscle Butter on top and enjoy! 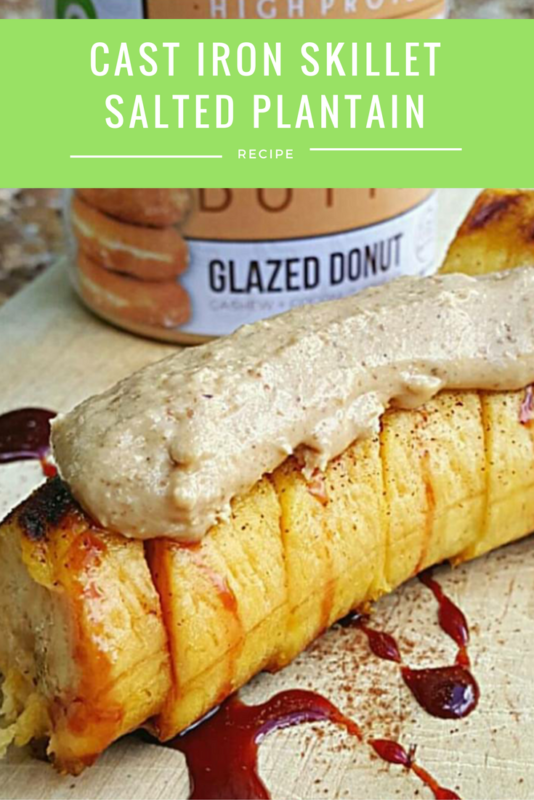 This entry was posted in Recipes and tagged glazed donut muscle butter, high protein, plantain recipe.